April and May is the peak of the climbing season in the Himalaya Mountains. In May many mountaineers will be making their summit attempts on Mount Everest. Long-time readers of this blog may recall, one of my bucket list items is seeing Mount Everest in person. Until then I have to entertain myself with books, videos, and imagery of the mountain. Here are some of the resources that I like to consult when teaching students about Mount Everest and the area surrounding it. 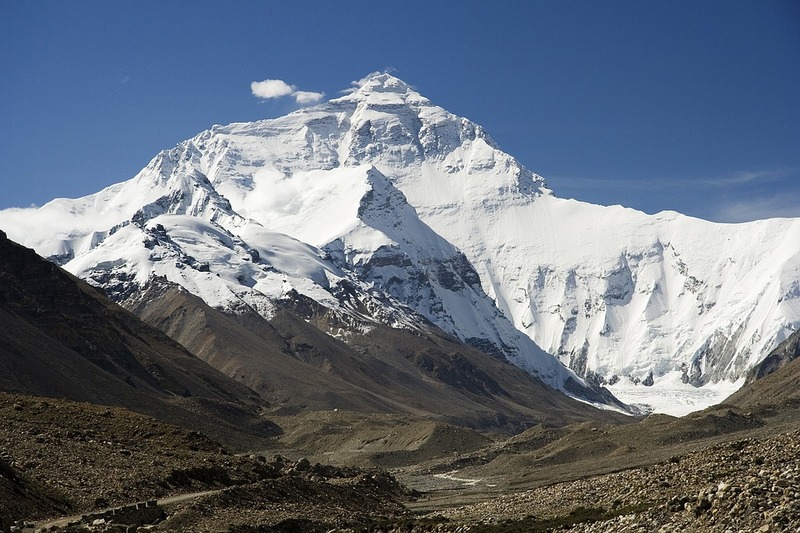 Why is Mount Everest so Tall? is a TED-Ed lesson in which students learn why the peak of Everest is so high, why other mountains are longer from base to summit, and how mountains in general are formed. Through the lesson students can also learn why the heights of mountains change and why Everest may not be the tallest mountain forever. Google Expeditions has an excellent tour of Mount Everest base camp. In fact, I gave a demo of that tour in a webinar that I hosted today. But if you don't have access to Google Expeditions, you can experience a lot of the same imagery through Google's Street View imagery of Mount Everest Basecamp (south side) students can zoom and pan around the foothills of Mount Everest. Students viewing that imagery for the first time might be surprised at how different the view is compared the to the typical pictures of Everest. After viewing the imagery students can click forward to see Street View imagery of other places in the region. Snow in the Kingdom: My Storm Years on Everestby Ed Webster (a fellow Mainer) is one of the best books ever written about Mount Everest. If you enjoy good adventure stories and or stories about overcoming personal struggles, I think you will enjoy Webster's book. For my money, and I own two copies of it, it does a far better job of explaining how it feels to be on Mount Everest than any of the two dozen or so books that I've read about Mount Everest and the Himalaya. Scaling Everest is an infographic that goes beyond the usual scale of Everest comparisons to buildings and jet flight paths. In the infographic you will find audio of three Everest climbers talking about the approach to Everest basecamp and the nuances of the climb itself. The infographic also provides some interesting facts about plants and animals in the region. Mount Everest Base Camp to Summit in 3D is a Google Earth tour that takes viewers up the South Col route to the summit of Everest. A video of the tour is embedded below.